Tokyo, May 30, 2013 — Ricoh will position the month of June as "Ricoh Global Eco Action Month" with the aim of widespread, sustained Eco Actions by Group employees around the world. As part of "Ricoh Global Eco Action" Ricoh will turn off the lights on all billboards, Ricoh logo signboards and night lighting facilities at all Group companies around the world on the night of June 5, which is United Nations World Environment Day. The 100% eco-powered billboards in New York (Times Square), London, and Sydney will be excluded. "Ricoh Global Eco Action" began in 2006 as an environmental event for enhancing awareness among Group company employees worldwide and promoting environmentally friendly thinking actions. The theme of the seventh year of "Ricoh Global Eco Action" is "THINK & ACT. Think and act on your own." Employees are individually encouraged to focus on energy conservation at work and at home, host and participate in environmental events, and take other actions that reflect their concerns for the environment. These events are announced for participation via posters, mail news, and through the transmission and sharing of information on Face book, the environmental portal site, and the intranet. 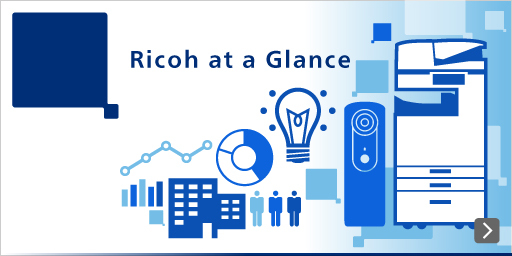 Ricoh continues with the "Ricoh Global Eco Action" expanding its environmental conservation movement from Group employees to their families, friends, business partners and clients. As with "Ricoh Global Eco Action," the eco-powered electronic billboards excluded from the upcoming switching off of signage represent one of the measures being undertaken to "expand the circle of global environmental conservation." The initiative is based on the idea that "even if the billboards don't light up and fulfill their functions as signage due to weather, we hope that the message the billboards convey will raise many people's environmental awareness and lead to the realization of a sustainable society." Experimental lighting began in April 2009, and following the completion of the first billboard at Times Square, New York in 2010, additional billboards were installed in June and July last year in London and Sydney, respectively. The average combined power generation of the three sites has been calculated at approximately 150,000 wh per day.